On the 25th of April 2017, I published a post on my Arabic personal website exposing an Egyptian political activist called Hossam El-Hamalawy and other Egyptian activists, who are publishing photos, full names, home addresses of different Egyptian police ranks and national security officers, army and their families addresses as well, and they are inciting terrorists to assassinate them and their families too. These information they are publishing on the social media and different websites. So, I have gathered all information in this regard and made an Arabic post about it, to whom it may concern in Egypt. Those who call themselves political activists are providing information for Islamist terrorists in Egypt and all over the world, because they are also publishing this in English language. And they are not just inciting and targeting the Egyptian police, national security and army officers, but also they are publishing their families home addresses, so every body can be an easy target to facilitate the terrorists bloody dirty job. Only today, it seems like Mr. Hossam El-Hamalawy and his gang got really provoked of what I have published 2 month ago about their terrorist activity. So instead of confronting me, or clarifying his activity on inciting to kill police officers and their families, he attacked and incited against my Ex Husband who is a Norwegian citizen and he doesn’t live in Egypt anymore. Mr. Hossam blocked me from his social media accounts, after he tweeted some information about my Ex and his personal photo, and he incited against my Ex and accused him of running and directing a fishy business in order to target political activists in Egypt, and he also claimed that Eman Nabih who happened to be me, doesn’t exist at all. So, I would like to tell Mr. Hamalawy and his fellows, that my name is Eman Nabih, I’m an Egyptian citizen, and I expose terrorists activities wherever I catch them and I do this publicly and directly. I don’t hide myself behind a fake name or a fake photo. I encourage publicly the Egyptian people to report to the police anyone they suspect having a terrorist activity. In addition, this English website and the Arabic one that I have referred to as mentioned above, are my personal websites and I am responsible about every word I’m writing and publishing, and by the way, I do exist Mr. activist. My Ex husband doesn’t live in Egypt anymore, and he has nothing to do with my personal websites, or my activities, which most of it are about politics and concerns about my country and everything I’m doing in this regard, I consider it as a national duty and I will keep doing it openly, publicly and directly as long as I live. So, Mr. political terrorist activist Hossam El-Hamalawy, if you want to target anyone here, you go and get yourself together and drink a little bit of courage juice, get out from your hole and confront me if you are really a man! 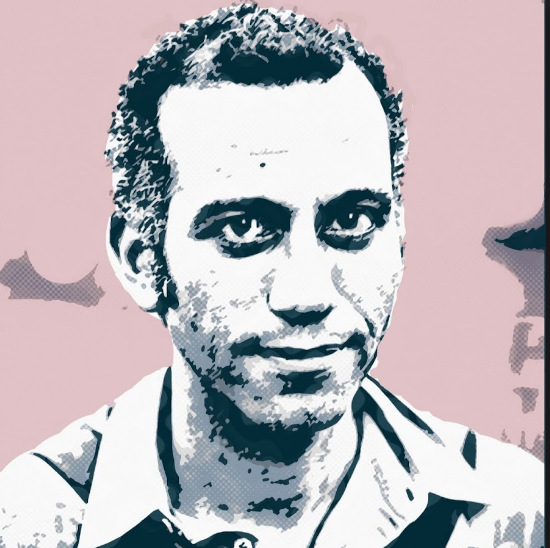 Mr. Hossam El-Hamalawy managed to publish information about the Egyptian police and national security officers in Egypt, because he is one of those activists who participated and incited on breaking into the national security buildings all over Egypt during the 25th of Jan 2011 chaos. When activists like Mr. Hossam cooperated with Islamist terrorist groups like Muslim Brotherhood and others, and they managed to break into the NS buildings and they have stolen whatever documents they had their hands on that concerned the national security of Egypt. Mr. Hamalawy, neither you or any of your terrorists friends, can really move one single hair in my head, I have faced different threats before and I maybe can really get scared from confronting a Cockroach, but I am definitely not scared of those who have sold their country in return of money and accepted to be financed from whoever will pay more to ruin Egypt and give it a piece of cake to the Muslim Brotherhood terrorists. I’m certainly not scared from those who have sold their souls to the devil and conspired against their own country and people. As a matter of fact, since I mentioned threats, if anything happens to my Ex husband wherever he is, I accuse Mr. Hamalawy that he is the main cause of whatever will happen to him, and remember Hamalawy, my Ex is a Norwegian citizen. Meantime, look around you and see what terrorists are doing in the entire world, and how the western countries are dealing with terrorist threats and the hate speech, violence and the incitement on terrorism. Those countries do not tolerate with such practices. Remember, your generous Obama is not there to cover your back anymore, so you are on your own, be careful Mr Hamalawy who you are inciting against. I would like also to mention that I don’t think that any country out there, especially European or western countries in general should let Mr. Hamalawy live freely on their lands. Because he is an Egyptian citizen and he is inciting Islamist terrorists inside and outside Egypt to target and assassinate the police and the national security and army officers in Egypt, so what about other people in other countries? Do you think he really cares? Mr. Hamalawy, you are participating directly in providing the terrorists in Egypt with even more than the information they need about police, national security and army officers, and because of what you are doing, there are people who die in Egypt from terrorist attacks. I’m sure you are able to sleep and live a normal life wherever you are, But listen to me here, this blood of our martyrs is not going to change the fact that you Hossam El-Hamalawy are a loser and a big failure and most important of all, you became a burned card for those who financed you to burn the country, since the finance and the money faucet is shut down for good. Remember this, I can walk anywhere in my country and people are not going to attack me in the streets or offend me. But can you do that? Yes you can in just one case, if people won’t recognize your face or who you are, simply because you became NOBODY. Mr. Hamalawy, you have 265000,00 followers on Twitter, I want you to ask them to go in any street in Egypt to support you, If you get 50 persons in the street responding to your call, take a SELFIE and thank God for whatever life is offering you!